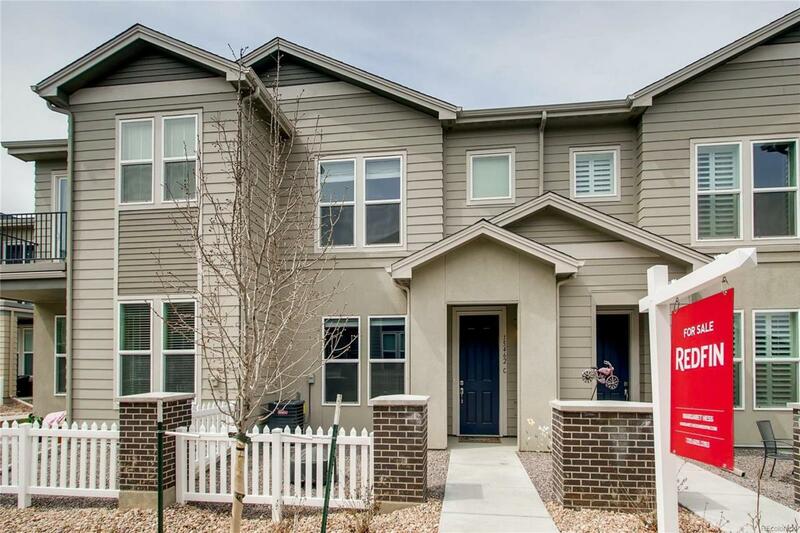 Move-in ready townhome is better than new with a REALLY low HOA and all the kinks worked out! Entrance area owned and perfect for a patio, HOA approved, spacious open floor plan and plentiful open guest parking. Amazing kitchen boasts expansive granite countertops, chic subway tile backsplash, an island, a peninsula with counter seating, stainless steel appliances & gas stove. Upstairs, is a wonderful and private master retreat that is the perfect place to unwind after a long day. It features 2 large walk-in closets and a luxurious en-suite 5 piece bathroom with a sizable soaking tub. Two additional bedrooms and another bath with more granite countertops complete the floor. Attached 2-car garage makes bringing home groceries a breeze with kitchen steps away from garage door. Quiet location. Wonderful recreation nearby with both Ralston Creek Trail and open space within walking distance. Also within walking distance are King Soopers, dining, and retail options.